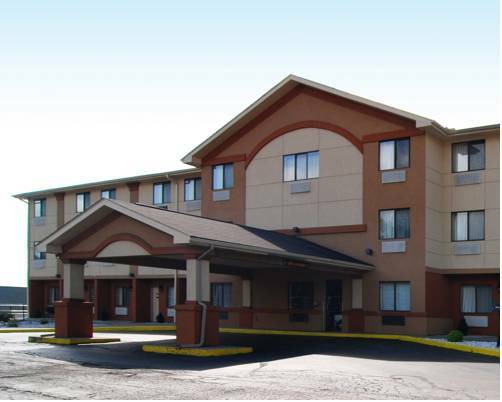 The Quality Inn hotel in Meadville, PA gives you real value with peace of mind. Our pet-friendly hotel is close to Drake Well Museum, historic Baldwin-Reynolds House Museum and Allegheny College. Prime Outlets of Grove City, Conneaut Lake Park and Pymatuning Deer Park are nearby. Enjoy amenities that include free hot breakfast, free WiFi, free coffee, free weekday newspaper, a fitness center, copy and fax machines and bus parking. Our hotel includes a bar area and local eateries are nearby. Each spacious guest room features a hair dryer, coffee maker, microwave, refrigerator, iron and ironing board. Also, earn rewards including free nights and gift cards with our Choice Privileges Rewards program. Pet Accommodation: 15.00/night per pet, 2 pets per room. Guest traveling N on I-79 will encounter construction.